Join us today at the Friends of Rhode Island Ave. Fall Festival to discuss DC Statehood. 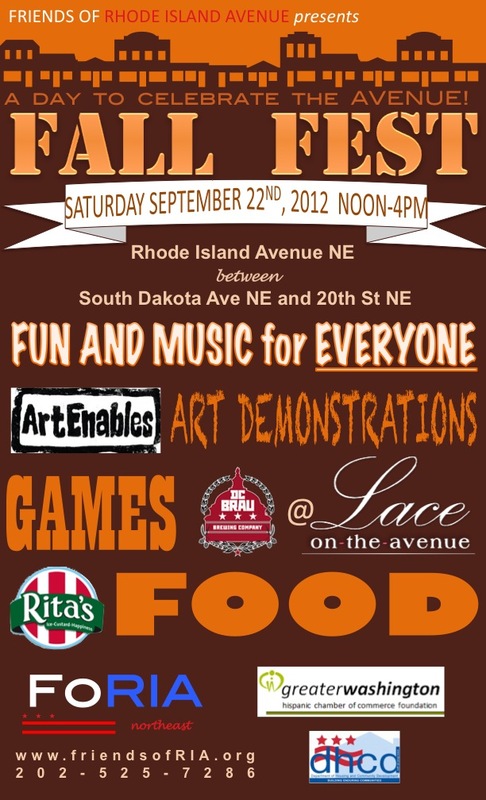 We’ll be tabling the event outside of Lace on the Ave at 2214 Rhode Island Ave. NE. At 3pm we will be giving a talk on DC Statehood inside Lace which will have some great local DC Brau on tap. Hope you can join us to celebrate the communities and businesses along Rhode Island Ave. and to learn more about how you can become involved in the Statehood movement. We need you!